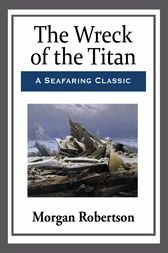 The Wreck of the Titan was written fourteen years before the sinking of the Titanic. The events in book are eerily similar to the actual events that would not happen for more than a decade. Titan the largest ship in the line is considered to be unsinkable, it is roughly the same size as the Titanic with about the same number of passengers, it was not provided with enough life boats for all of its passages, and half of the passengers died when it sank after hitting an iceberg in the Atlantic Ocean. So similar were the incidents described in the book to the sinking of the Titanic that many people credited the author, Morgan Robertson, with clairvoyance. The Dr. Who episode of the same name was based on the events in this book. A story of tragedy, loss, love and redemption.